If you are like us and never watched Twinkle Toes, then you are certainly missing out. This bright and colorful movie is sure to make kids and adults alike smile and enjoy the show. It is a show that teaches kids to follow their dreams and do whatever it takes (within reason) to get there! I was very impressed with Twinkle Toes and hope to watch more in the future. My boys really enjoyed it, and my six month old daughter even seemed to enjoy it with all of the colors and action! 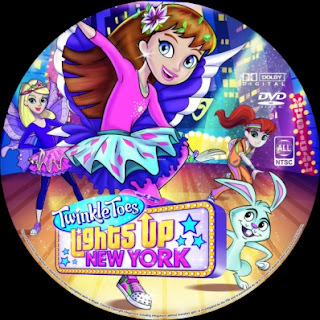 The bright lights of Broadway set the stage as one talented teen girl tries to make her dreams come true in the new animated film TWINKLE TOES LIGHTS UP NEW YORK from Skechers Entertainment in partnership with distributor Cinedigm (NASDAQ: CIDM). Inspired by the incredibly popular bright and colorful Skechers Girls’ footwear collection and a follow up to TWINKLE TOES: THE MOVIE, the new film is the second feature-length animated adventure for 14-year old Twinkle Toes—also known as the title character Twinkle Toes. The esteemed Dove Foundation has given the film its “Family Approved” seal of approval and declares that TWINKLE TOES LIGHTS UP NEW YORK is an electrifying tale to motivate the entire family. It all starts on the last day of school when Twinkle Toes’s dad gets a once-in-a-lifetime opportunity to direct a Broadway musical—sweeping Twinkle Toes from her small-pond suburban life into the hustle and bustle of New York City for the summer. 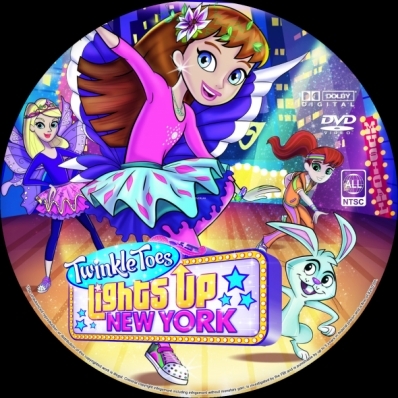 As Twinkle Toes learns the ins-and-outs of the Big Apple and Broadway, she impresses the show’s choreographer and is invited to join the cast alongside a more experienced teenage starlet. But after Twinkle gets a taste of the Broadway limelight, the chance for stardom overwhelms her and the show may be ruined! To make things right, Twinkle Toes must use all her creativity, smarts, and dancing skills to help her new friends and save the show!